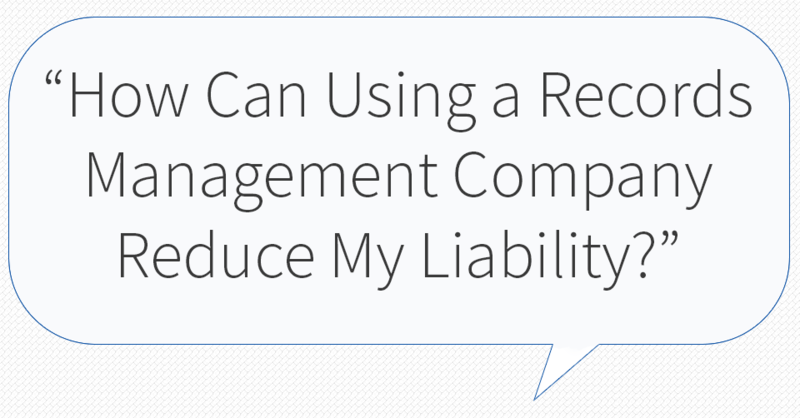 Can Using a Records Management Company Reduce My Liability? Every major data protection regulation includes a requirement that organizations have written data protection policies and procedures. Proof of working with a certified records management and destruction company is a key element in proving compliance and reducing your liability should any information-related legal issues arise. Proof that your employees have been trained in information management by professionals from a certified records management company also is crucial for reducing your liability. Document security, including storage, destruction, and regulations compliance is our specialty. Contact Federal Records Mangement & Shredding today to ensure you understand the legal ramifications of non-compliance and to establish appropriate policies to protect your business now and avoid compliance issues in the future. Next Next post: What Is Records Management? Why Is It Important?